This undated combination of photos provided by the FBI, left, and the California Department of Motor Vehicles shows Tashfeen Malik, left, and Syed Farook. The husband and wife died in a fierce gunbattle with authorities several hours after their commando-style assault on a gathering of Farook's colleagues from San Bernardino, Calif., County's health department Wednesday, Dec. 2, 2015. 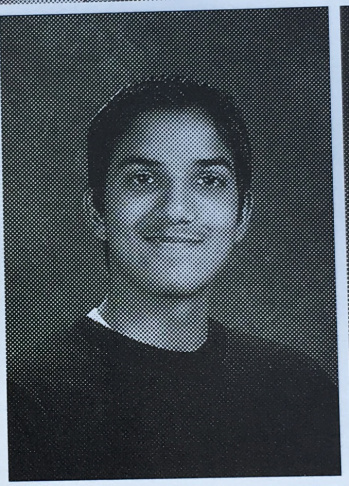 A 2004 yearbook picture of Syed Rizwan Farook. He was named in the yearbook as "Rizwan Farook." 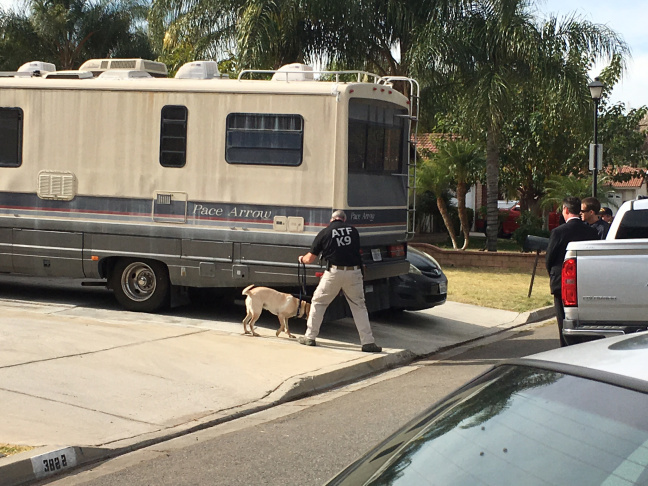 ATF agents at the home neighbors said Syed Rizwan Farook grew up in on Thursday, Dec. 3, 2015. The house where Syed Rizwan Farook grew up, according to neighbors. It's still not clear what prompted Syed Rizwan Farook and Tashfeen Malik to mount an attack on the Inland Regional Center in San Bernardino, but more information from friends, family, coworkers and neighbors helped flesh out a better understanding of the two suspected killers. Here's what we know about Farook and Malik. We'll keep it updated as more information comes in. 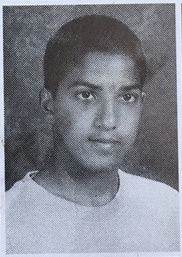 A 2003 sophomore yearbook photo of Syed Rizwan Farook. He was named in the yearbook as "Rizwan Farook." Syed Rizwan Farook was a 28-year-old U.S. citizen born in Chicago, Illinois to a Pakistani family who raised him in Southern California, according to law enforcement officials and the Associated Press. He worked for the San Bernardino County Department of Public Health as a restaurant inspector and had been a county employee for five years. 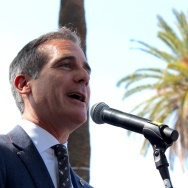 His California state license to be an environmental specialist was set to expire at the end of the month, according to Public Health Department records. Farook was a devout Muslim who showed up to pray at his mosque every day before he abruptly stopped showing up three weeks ago, according to two brothers who attended the same mosque as him. Attorneys for the family described Farook as isolated, with few friends. Farook's brother shared the same first and last name. His brother's full name was Syed Raheel Farook, according to Riverside County Court documents. Their father also shared the name Syed Farook, according to a neighbor. 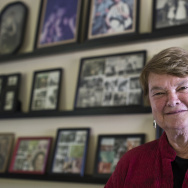 Farook's parents divorced after an acrimonious split in 2006. Farook's mother Rafia described her husband as "irresponsible, negligent and an alcoholic," according to divorce papers obtained by the AP. She said she was forced to move out of the home with three of her children due to her husband's verbal and physical abuse. She also filed a domestic violence protection petition in that same year and alleged that her husband attacked her while the kids were present, dropped a TV on her and pushed her toward a car. Brothers Nizaam Ali and Rahemaan Ali told the AP that Farook was a regular at their mosque — a constant presence for two years, before he stopped attending three weeks ago. They said he had recently memorized the Quran. They said he seemed happy and his usual self when they last saw him, and that they never saw anything that would make them think he was capable of violence. Mustafa Kuko, director of another mosque, the Islamic Center of Riverside, told the Los Angeles Times that Farook regularly attended early morning and late evening services at his mosque for two years, but abruptly stopped coming two years ago. 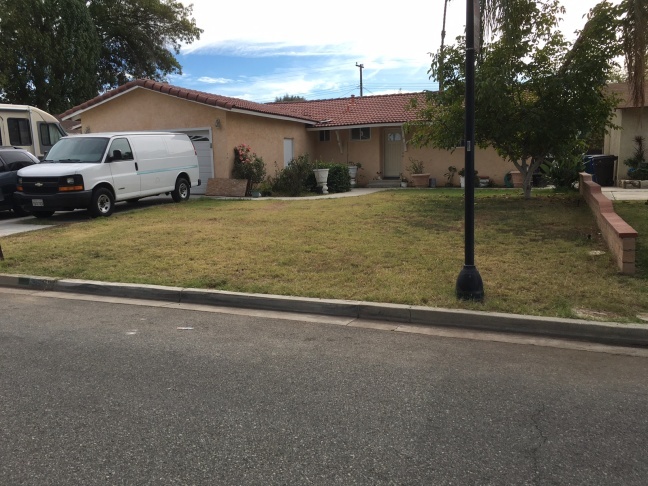 Neighbors of the suburban Riverside home where Farook grew up told KPCC that he was reclusive but seemed harmless. "He was very quiet, kept to himself a lot," one neighbor, who said she was scared to have her name published, told KPCC. "He worked on cars. He could work on them for weeks. Just go to sleep, get up, work on something, continue. But I never imagined him to do something like this. Much less being American-born. It's a shame. I feel bad actually, because it's a lost life." 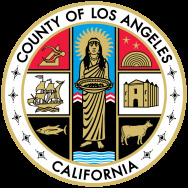 Farook attended La Sierra High School in Riverside. Classmate Ali Arshad told KPCC that he spent time with Farook when the two were at La Sierra High. “Our high school was predominantly non-Middle Eastern, so all of the Middle Easterners in high school kind of just kept in contact with each other," Arshad said. Arshad said that he and his brother Usmaan played basketball with Farook and spent time with him at the mosque. For Arshad, there was never any indication that he’d one day be responsible for the third biggest U.S. mass shooting in the past 20 years. “He was a very soft-spoken guy. He kept to himself really. He didn’t really talk much or he would just answer questions you’d ask. You wouldn’t be able to tell what kind of interests he had or what he liked doing. He just kind of went with the flow. He didn’t have many friends. Kind of kept to himself really," Arshad said. Arshad said Farook was also a classmate of his at California State University, San Bernardino, though the two had little contact in college. In 2014, Farook traveled to Saudi Arabia for nine days, where he went on the Hajj pilgrimage to Mecca and he met Malik in person, according to an attorney for the family. According to the Associated Press, the two were wed while he was in Saudi Arabia, and returned together to the U.S. This undated combination of photos provided by the FBI shows Tashfeen Malik, who came the the United States after marrying Syed Rizwan Farook in 2014. Tashfeen Malik was a devoutly religious Muslim woman who recently moved to the U.S. Police initially said she was 27, but her passport said she was 29, according to the FBI. Malik grew up in Pakistan and moved with her family to Riyadh, Saudi Arabia's capital, when she was in her late teens, according to attorneys for the Farook family. She wore a veil that covered her face and didn't drive, according to the attorneys. She also spoke only with female relatives. A relative of Malik's in Pakistan told the Associated Press that the young woman apparently became a more devoted follower of the Muslim faith in the past few years. Hifza Batool told AP on Saturday that other relatives have said that Malik, who was her step-niece, used to wear Western clothes but about three years ago began wearing the hijab head covering or the all-covering burqa donned by conservative Muslim women. "I recently heard it from relatives that she has become a religious person and she often tells people to live according to the teachings of Islam," said Batool, a teacher who lives in Karor Lal Esan, about 280 miles southwest of the Pakistani capital of Islamabad. "She was very soft spoken. She was Muslim. She did practice her religion. She did wear the burka – but that was her choice," family attorney Abuershaid said. Malik had been admitted to the U.S. in July 2014 on what's known as a K-1 fiancee visa after returning with Farook from Saudi Arabia. The fiancee visa requires that the couple intends on getting legally married within 90 days of the fiancee entering the U.S. To get the visa, Malik would have had to submit to an in-person interview and biometric and background checks in order to ensure she wasn't a threat to either national security or public safety. Malik's family lives in Riyadh. Abuershaid said said she had no family in the United States, and that her in-laws have been trying to make contact with her parents in Riyadh. Saudi Interior Ministry spokesman Maj. Gen. Mansour Al-Turki told the AP that authorities there have received no indication Malik was radicalized in Saudi Arabia. While the family's lawyers said that Malik moved with her family to Saudi Arabia, Al-Turki said Saudi records show she was not a resident of Saudi Arabia and had been to the kingdom only twice. On both trips, she came to visit her family — once in 2008 for several weeks and the second time in 2013 for four months. The Saudi Interior Ministry confirmed Sunday that Malik's father — Gulzar Ahmed Malik — has been a resident in the kingdom since the early 1980s. However, Saudi laws do not permit authorities to release further details about his whereabouts or his profession since he is not a suspect. Malik went to school in Multan, Pakistan to study pharmacy at Bahauddin Zakariya University. According to the New York Times, some thought she might become a lecturer. From 2007 to at least 2012, Ms. Malik studied in Multan, the main city in southern Punjab, famed for its sparkling religious shrines that mark it as a historical center of Sufism, a mystical form of Islam. Although Ms. Malik obtained her place under a quota system that reserves places for the children of expatriate Pakistanis, she quickly impressed professors with her diligence and ability. Some thought she might eventually become a lecturer. “We felt she could be an asset to the university if she joined the faculty after completing her studies,” Dr. Khalid Hussain Janbaz, a former lecturer, said in a phone interview. No male lecturer knew what she looked like, however, because of the niqab. And though conservative Muslims were not unusual there, Ms. Malik developed a reputation as someone who purposefully avoided making friends with men and who was deeply rooted in her Saudi upbringing. A maid who worked in the Multan home where Malik lived said Malik initially wore a scarf that covered her head but not her face. A year before she got married, she began wearing a scarf that covered all but her nose and eyes, the maid said. The maid spoke on condition of anonymity for fear of jeopardizing her employment with the family. Malik had a passport from Pakistan, though U.S. Immigrations and Customs Enforcement officials still trying to determine if she is from Pakistan or Qatar. Farook petitioned to have Malik's immigration status changed to Legal Permanent Resident in September 2014, based on their being married. Malik received a conditional green card in July of this year, and could have applied to stay in the U.S. permanently two years after the wedding. Farook and Malik were legally married in the U.S. in August 2014, according to a Riverside County marriage license obtained by the AP. They had a small wedding reception at a local mosque, “maybe 30 or 40 people,” according to Abuershaid. The license lists Farook and Malik's religion as Muslim and says that all four of their parents were born in Pakistan. The witnesses who signed the license are Farook's brother and his brother-in-law. Abuershaid said the couple didn't leave the country again after they were married. In the brief time she spent living in the U.S., Malik was a homemaker, building a relationship with her retired mother-in-law and preparing for the birth of her first child with husband Syed Rizwan Farook, according to Abuershaid. “She was hardworking,” Abuershaid said. “His mother was living with them, and she wanted to help around the house. She made it a very comfortable home for him and his mother." “It just seemed like a very happy relationship,” Abuershaid said. Malik spoke some English, although her primary language was Urdu. “She could understand some English…She was educated,” Abuershaid said. “She finished her schooling in Pakistan and Riyadh.” He couldn’t provide details on what level of schooling she completed. 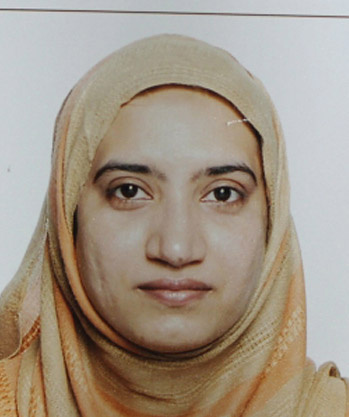 Farook and Malik had a baby earlier this year, a coworker of Farook's told the AP. Their daughter was six months old at the time of the shooting, Hussam Ayloush with the Council On American-Islamic Relations told the AP after speaking with the family. Farook and Malik dropped her off with relatives the morning of the shooting, saying they had a doctor's appointment, Ayloush told the AP. Abuershaid said she didn’t have much of a chance to build relationships outside the family while living here. Abuershaid said Malik "was just getting used to the culture, and everything else." 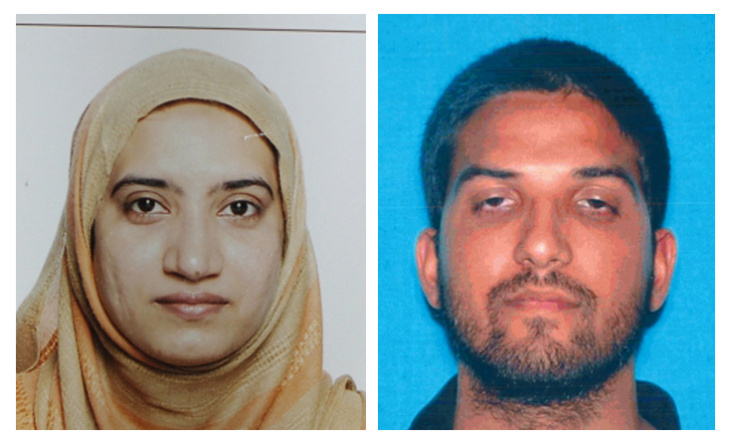 Farook and Malik's names were both on the rental agreement for a house in suburban Redlands. Authorities said it's too early to say whether either Farook or Malik had been radicalized, though they're investigating whether a pledge of allegiance to ISIS is related to either assailant. The incident has been deemed an act of terrorism, officials said on Friday. Correction: An earlier version of this story misspelled Stacy Moser's name. It also inaccurately said that both Syed Rizwan Farook and Syed Raheel Farook live with their father, according to a neighbor; the neighbor only said that Syed Raheel Farook lives with their father. We regret the errors.